Since my first visit to Byron Burger not so long ago, I have been figuratively ‘itching’ to revisit, to sample another unique burger. With this visit giving me the chance to sit down within the restaurant and experience the décor, ambiance and service, I had high expectations. Very efficient and polite service meant I was sat down and served swiftly with my choice of meal being; a burger named ‘Le Smokey’, French fries and a Coca Cola to drink. 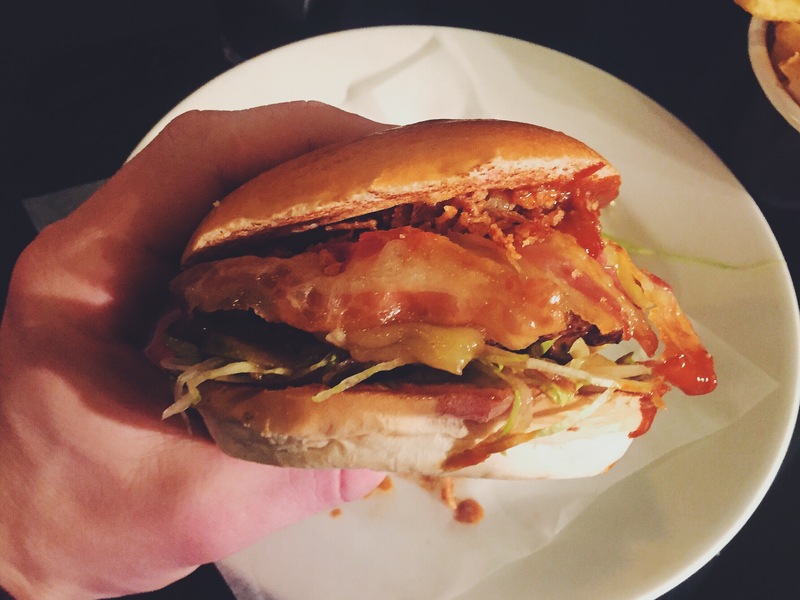 The ‘Le Smokey’ burger stood out to me as the ingredients sounded intriguing, they were; 6oz hamburger, mature Cheddar, streaky bacon, crispy fried onions, shredded iceberg, pickles and smoked chilli BBQ sauce. When the burger arrived it wasn’t anywhere near as towering like its competitor the ‘B-Rex’ but with its melting cheese and dripping smoked chilli BBQ sauce, aesthetically it was inviting. As you can see the 6oz hamburger stood proud of the bun, which then gave you the chance to nibble around the sides before delving in. The first full bite of the burger confirmed to me that Byron Burger really do ‘Proper Hamburgers’. 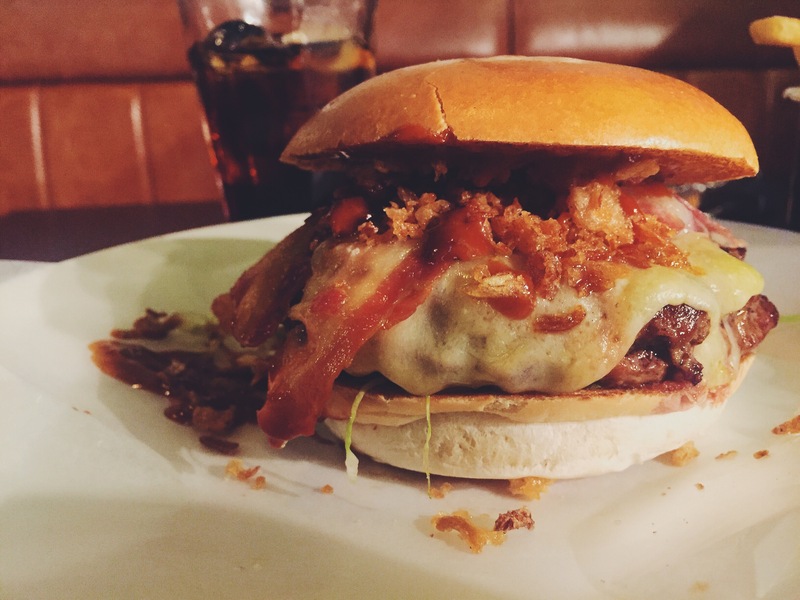 The flavours and combinations were genuinely spectacular, the crispy fried onions gave a delicious crunch along side the bacon and smoked chilli BBQ sauce which had a pleasant, subtle spicy factor. There were two faults, which in my opinion were the hamburger itself and the French Fries, that being the chef’s fault. The burger was ordered as ‘medium’, but unfortunately came more as ‘rare’, also the French Fries were quite terrible, very sharp, moderately warm and tasteless, i’ll be avoiding them next time I visit. However this doesn’t inflict my opinion on this burger or Byron Burger in the slightest, as it was absolutely beautiful.